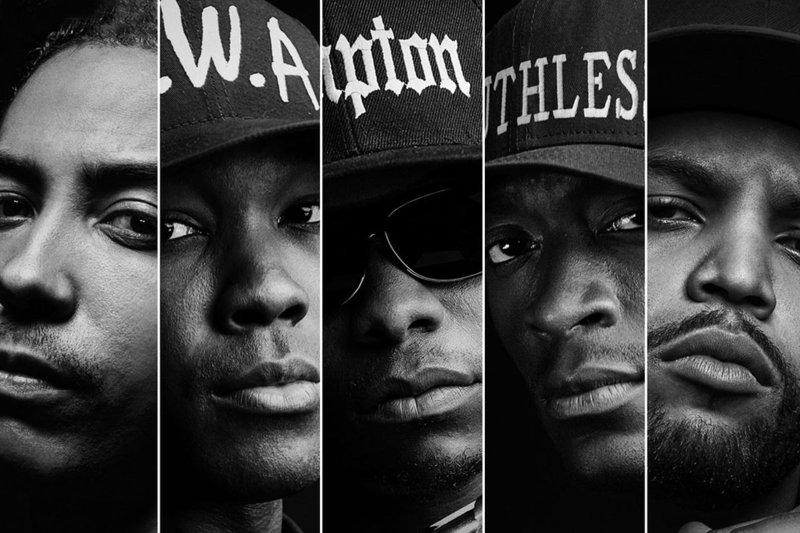 The biopic is a classic genre in film that usually leads to award season opportunities as well as audience and critical acclaim, but where most biopics focus on those historical characters that are largely considered to be “good” people, “Straight Outta Compton” focuses on the endlessly controversial world of gangsta rap, specifically the pioneering group of the sub-genre, N.W.A. “Straight Outta Compton” follows rappers Eazy-E, Dr. Dre, Ice Cube, DJ Yella and MC Ren as they form one of the most prolific hip hop groups of all time, and the effect it has on their personal lives. This is the film’s greatest strength, it’s ability to make large personalities relatable and engaging. These are men that, despite their flaws, ultimately sympathetic characters. Their attitudes are summarized in one line by Ice Cube (O’Shea Jackson Jr.), “Our art is a reflection of our reality.” A stinging criticism of general pop culture but a poignant justification for what was at that point in time some of the most controversial music to ever hit the mainstream. The inter-personal relationships between the characters and their attitude towards their culture is always backed against ever increasing tensions between the police force and the African American communities. N.W.A played a large part in igniting the fuse to a long dormant bomb through one of their most shocking songs, “F**k tha Police.” “Straight Outta Compton” does the moment justice, building up the context, raising the stakes, then delivering a stinging punchline. The song became an anthem for the 1991 riots, ones which are depicted in the film as total chaos, yet for some reasons seem to be relatively short compared to the rest of the film. For a film that spends its first half making a case for social injustice, “Straight Outta Compton” seems to turn in a completely opposite direction just as events were coming to a head. It feels as if the events were obligatory to include, but the film fundamentally wasn’t as interested in the riots as it was in the characters. A feature film only has a certain amount of minutes to go around, and it’s not an enviable task to juggle around an ensemble cast like this in such a short time but the characters of DJ Yella and MC Ren seem to get shunted to the side, making token appearances every twenty minutes or so the remind the audience that they were part of the group too. Instead, “Straight Outta Compton” opts to focus the most on Eazy-E who is a genuinely engaging character. He is by no means your typical biopic protagonist and he is our window into this world. Jason Mitchell performs remarkably in the role, relaying a man whose rise and fall from fame genuinely affects his psyche. 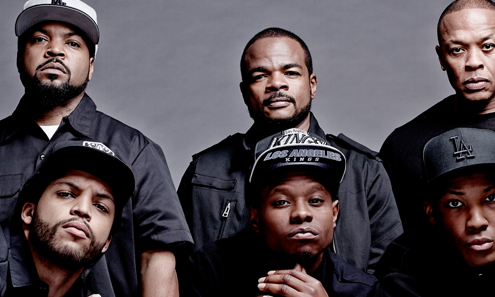 “Straight Outta Compton” is a musical biopic so naturally the music doesn’t disappoint. The majority of the soundtrack is dominated by late 80’s/early 90’s hip hop, setting the tone and context of the times perfectly. It’s not just N.W.A music either, tracks from other hip hop legends, 2-Pac and Snoop Dogg also drift in and out, no doubt sending ripples of nostalgia through many viewer’s spines. Any fan of the genre won’t be disappointed in the music score. 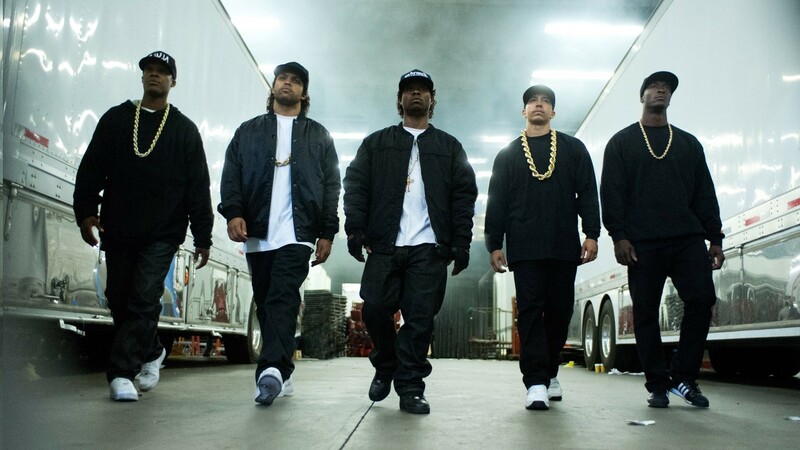 Ultimately though, “Straight Outta Compton” is the biopic with a hard outer shell, but an emotionally mature centre. The trailers would have you believe that, “Straight Outta Compton” depicts the group’s struggles against the social times when in fact it is more about the relationships between the members of the group, and how money and fame can come between great art, for better or for worse. Despite a lack of focus in the middle, “Straight Outta Compton” delivers where it matters providing a memorable biopic, not quite reaching the heights of the greats of the genre, but nevertheless standing proud on its own.